Global study says UK enterprises are leading the way when it comes to utilising DevOps. 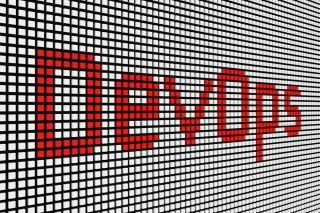 The UK is a leader when it comes to the use of DevOps as a primary driver for IT transformation, a new report concludes. The 2017 global IT pro study from SUSE claims that UK enterprises are “taking advantage of software-defined infrastructure, containers and DevOps to keep pace with the demands of today’s market”. According to the report, the adoption of cloud technologies continues to rise. Hybrid (65 per cent) and private clouds (62 per cent) are the most popular variants, although more than four in ten (41 per cent) expect to increase the use of public cloud as well. The report also says UK companies are searching for simplified cloud security, which is why many are switching from development in public cloud to production in private cloud. Some have already migrated workloads. SDI seems to be the “future for data centres”, with 95 per cent of respondents saying it brings advantages such as faster IT resources delivery and simplified data centre management. UK companies see DevOps as ‘part of their future IT strategy’, while container adoption continues to gain traction. “Faced with increasing customer demands and industry disruption, IT leaders in the UK are rethinking their approach and searching for the best way to quickly increase agility and speed while keeping costs down,” said Danny Rowark, ‎regional director EMEA West at SUSE. The lack of skilled workers continue to be a huge concern, the report concludes.